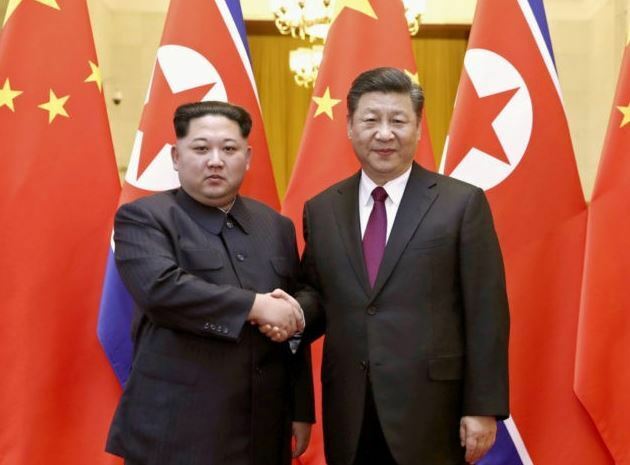 Chinese President Xi Jinping sent a congratulatory message to North Korean leader Kim Jong-un on Sunday to commemorate the 70th anniversary of the North's founding, saying it's China's "unshakable policy" to further cement relations with Pyongyang, according to the North's state media. "The party and government of China are giving high priority to the friendly and cooperative relations between China and the DPRK, and it is the unshakable policy of the Chinese party and government to successfully defend, cement and develop the bilateral relations," Xi said in the message carried by the Korean Central News Agency. DPRK stands for the North's official name: the Democratic People's Republic of Korea. Sunday's anniversary, which marks the 1948 founding of the North's government, comes after relations between the North and China have warmed significantly this year since the North's leader reached out to the outside world, including South Korea and the United States, after years of nuclear and missile provocations. Amid the North's outreach, China's Xi worked hard to keep the neighboring nation within the country's sphere of influence, inviting the North's Kim to visit the country three times, amid concerns it would hurt China's national interests if Pyongyang becomes too close to Washington. "This year I made clearer the orientation of the development of the relations between the two countries through meeting you three times. I have a willingness to promote the prolonged, sound and stable development of the China-DPRK relations together with you and thus bring more well-being to the two countries and their peoples, and promote the regional peace and stability," Xi said. Russian President Vladimir Putin also sent a congratulatory message to Kim and reaffirmed his country's commitment to further develop ties with the North, KCNA said.